You've read the Pros and Cons of Fleece Bedding and decided that it's the right choice for you. Now how do you clean fleece? PREWASH the Fleece Flippers or Liners before using? Fleece will wick better and better with more and more cycles of use. The goal of the initial washings is to strip any coatings from the manufacturing process and generally make the pores of the fleece more open. New fleece has an added water barrier that needs to be broken down to allow moisture to wick through to the absorbent layer underneath. You don't HAVE to wash the fleece first, but the urine will pool and take more time to soak in if you don't. 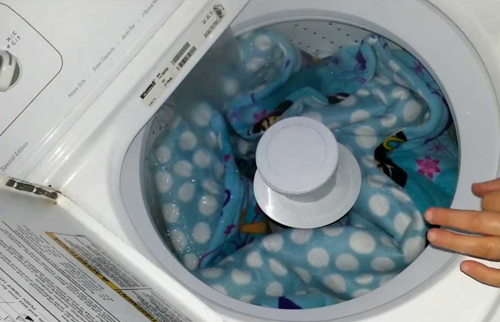 As you continue to wash your fleece, that barrier will break down and the liners will wick more efficiently. Many fabric softeners and dryer sheets contain residues that can build up on fleece. Don't use any such additives that might clog the fleece pores. Pre-washing Fleece - How many times? This will come down to your preference and how well the liners are wicking after each wash. Once can be fine to get started. If it's not wicking great yet, you'll just need to change the cage more often until it does or try washing it again. 2-3 wash/dry cycles before using it should be plenty. Perfection will be achieved over time. Pre-washing the inner Uhaul liners? For Fleece Flippers, we cut the inner Uhaul liners a bit large to start because they shrink over time. The inner Uhaul liners do not need to be pre-washed for absorption, but they will shrink quite a bit after the first dry cycle. For a less bulky fit from the beginning, wash and dry once. Initially, wash and dry the inner Uhaul liners separately from fleece to keep most of the excess lint off of the outer fabric. Uhaul will continue to shrink for a while. Hideys, Cozies & Potty Pads? Other fleece items do not really need to be pre-washed before use. The weight of the guinea pigs sitting in them forces the wicking. Remove all shavings and debris before washing. 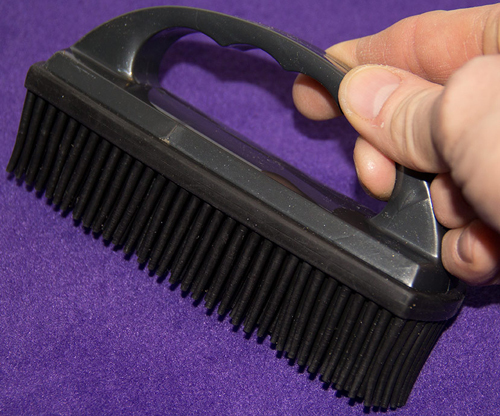 We recommend shaking your bedding off outside or using a handheld vacuum, whisk broom, dust pan or lint brush. Clean poos and food debris daily. Use hot water to kill germs with any standard machine cycle. The goal is to keep the pores of the fleece as clean and clear as possible. Clean Detergents without additives, coatings and fillers are best. 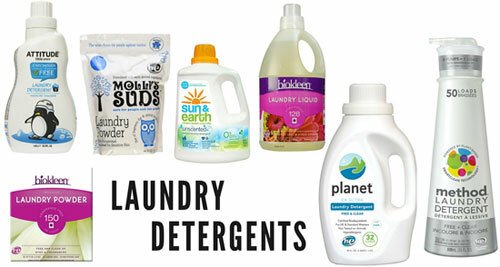 Many fabric softeners reduce the ability of a fabric to absorb water. If you accidentally use fabric softener, you can safely use vinegar or bleach in the wash to try and strip the residue off. Use a double-rinse cycle if your washer has that available. 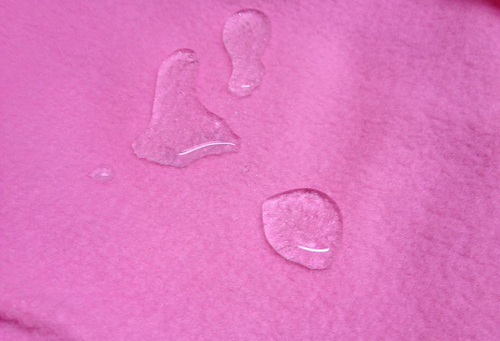 Multiple washings, in general, should strip away the residue and retore the wicking property of your fleece. A quarter of a cup of white vinegar is recommended in the wash to help kill germs and bacteria and reduce odor. Bleach can be used on the fleece (and can help expedite wicking); it will not harm it at all. Fleece is 100% colorfast. While it's tempting to squeeze in a few extra items, laundry needs room to move around. Overcrowded loads won't clean and rinse well and take longer to dry. Our products are safe to dry on high heat. Clean out the lint trap after initial loads of fleece, and especially the inner UHaul liners. Checking your link trap regularly will keep drying time to a minimum. Smelly fleece? How to eliminate odors! Vinegar can be added to your wash cycle or fabric softener slot to help minimize odors. Baking soda is a great odor neutralizer that can also be added to your wash cycle or pre-soak. Bleach can be added to the wash cycle to help reduce odors. You may want to do an additional rinse cycle to protect sensitive noses if you can still smell bleach after the wash.
Borax is a natural alternative to bleach which can be added to your wash cycle. It can help to remove tough stains and odors. Many customers swear by these. Add stripping powder to an extended pre-soak to help remove stubborn grime, detergent residue and odors. Pre-soaking can also help to loosen grime and lessen odors. Vinegar, baking soda, stripping powder and other laundry treatments can be added. You may need to try different options to find what works best for you. Be sure to check out our Cleaning Fleece forum section for even more ideas to keep your fleece bedding clean and cozy. Our Guinea Pig Cages Forum has a wealth of information on keeping happy, healthy guinea pigs.